With my blogs and coaching I’m always hoping to inspire, share stories and always, always tell the truth at least as I know it. The truth is a pretty valuable thing to hear in a business of dreams. So with a backward nod to Clint Eastwood here goes. If you’re an artist or writer and you’re still working a plan based on an outdated model, you have to adapt or die. It’s the ugly truth. Somehow the artist in us wants to be above the businessman and let someone else deal with it. That time is long gone and time to embrace what IS working. This is not breaking news to most people reading this but I still have lots of writers and artists coming into my coaching with unrealistic goals like landing a major publishing deal with a big advance . There are a few exceptions but for the most part that hasn’t existed in Nashville or anywhere I know of for a long, long time. Same for a major label deal. There are so many really good writers and artists falling by the wayside because nurturing a “baby writer or artist” costs too much these days. It makes perfect sense though. If you’re a publisher or label and the pie has shrunk, you just don’t have the money to gamble with. If you give that big advance how are you going to make it back in an era of free fall music sales? This is why you’ve been reading about things like 360 deals for the past few years as well as seeing projects stay “in house” as much as possible. Reading Bob Lefsetz letter is a good way to stay up with the conversation. He’s read by most industry people as well as artists. There’s help. Writers, artists, producers, industry pros and publishers are making themselves available in unique ways these days though workshops, online seminars or, as in my case, coaching . There is some real crap out there, so do your homework, but if you dig you’ll find experts who have actually done what you want to do and are willing to share. I’ve been reading a terrific book called Platform by Michael Hyatt recently and it’s perfect info for any songwriter or artist looking for ways to get noticed. Michael has been the head of Thomas Nelson Publishing here in Nashville dealing mainly in Christian books but has a music business background as well. One of the things that struck me was a section about turning really good authors away because they weren’t willing to use social media. They want to write and be left alone. Let someone else promote. These writers in his world and in the music world are going unpublished. Michael wrote the book as sort of a “how to” to help them navigate the new model of self-promotion. The point is there are resources to help you adapt to newer models. Facebook fan pages, blogging and tons of other ways to be heard and create and nurture a fan base. The Internet is your marketing person and you can do it… by yourself and …it works. It’s not near as romantic to think about tweeting and blogging to let people know what you’re creating but none of us wants our music to exist in a vacuum so… we promote and network. We ARE the business and that’s a great thing! One last note..if you play live go out and do it, everywhere,everynight!! The National Music Publishers' Association has negotiated a far-reaching licensing deal with Universal Music Group on music videos, the group announced on Tuesday. It is the first major-label deal to pay royalties to songwriters and music publishers for videos. The pact also could end up providing additional royalties for songwriters and music publishers in emerging platforms like ringtones. It comes as many musicians have grown more frustrated about the lack of financial compensation they receive for use of their work in new media services like Vevo and YouTube. As a sign of how tense the relationship has become, last February in TheWrap, Matt Pincus, founder and CEO of Songs Music Publishing, slammed Vevo for earning $150 million in revenue without cutting independent publishers in on the money. "Are record companies to blame for relying on shoddy language to withhold royalties, or is it Vevo's responsibility to insure that the songwriters that helped it pull in $150 million this year share in their success?" Pincus wrote. "Whatever the case, this issue of fairness must be addressed." Vevo is a joint venture music video website operated by Universal Music Group, Sony Music Entertainment and Abu Dhabi Media, making Universal's participation key. "The agreement announced today is an important first step in resolving industry-wide music video issues," David Israelite, NMPA president and CEO, said in a statement. "UMG deserves credit for being the first record label to partner with the entire songwriting and music publishing community through this model licensing deal." Under this license deal, music publishers will grant the rights necessary for the synchronization of their musical works with music videos, and, in return, receive royalties from these videos based on a percentage of Universal's receipts. The agreement also enables songwriters and music publishers to receive retroactive compensation for past use of their musical works in UMG's music videos. In addition to music videos, the agreement provides songwriters and music publishers compensation for additional UMG product offerings including ringtones, dual disc, multi-session audio and locked content products. Some time ago I thought it would be interesting to learn more about what "creativity" really is. Where does it come from? How can I access it more often? What I didn't know is that this curiosity would lead me to radically improve my songwriting and as a consequence, my professional life. So, after reading some books on the matter and spending enough time analyzing the process, I got to some interesting conclusions. Much like most songwriters I know, my writing was mainly dependent on the ideas (musical and lyrical) that I could come up with during the "session". Even if I had a good title or an idea to start from, my songs where born mostly from whatever came to mind during that time. Even in Nashville, a place I truly love and where I've learned from the best, I've seen the same "creative" approach. Not always, but it's a safe generalization. So what if we change the premise of creativity? Do we really create anything? I though (wrong or right) that perhaps outside of feelings and emotions, everything in our reality has already been created. Even if it has not been discovered yet. So then, what we call "creativity" in reality must simply be our ability to CONNECT already existing ideas, concepts, things, elements, etc. in ways that are original, insightful and meaningful. If the final result triggers an emotional response on ourselves and others, then you have truly "created". Then, if the game is about connecting ideas within the realm of possibilities, logically, what I need to do in order to get better results is to have plenty of good content available to choose from when I sit down to write. This way I don't depend so much on the unreliable visiting hours of our good friend Miss Inspiration. In other words, I realized that the way most of us write songs is like trying to open a restaurant with whatever we have in the refrigerator at the time. Absurd, right? well, that's just how most songwriters do it. I say, GO GROCERY SHOPPING FIRST! Sound engineers prep and then mix. Architects plan, prepare and then build. Lawyers, same thing. Even painters and other artists sketch and prepare, but for some unknown reason, songwriters like to start building before knowing what they want. Strange isn't it?. Yeah, "finding your path" as you go can sound very romantic but it's not very practical. Do ships sail out to sea without a destination or a nautical chart? So, just like in most other professions, now I divide the process into two stages. Prep (musical and lyrical ideas) and the connecting stage. Both are essential to good songwriting. The process that has worked for me is that I don't go for a musical instrument until I've defined what my objectives are and I know what I want to write about (lyrically). Then I ask the question, "what is everything I know (or not) about this subject"? I spend lots of time looking for great things to say about it. I find common and uncommon answers to the question as well as interesting or unexpected angles to make sure that what ever goes into the song is worthy of it's great potential. Not a line or a breath should be wasted. Once I have lots of good stuff to say, I try to edit, separate and organize the best and most interesting bits of information into their most likely structural destination. This is easy since I know that a verse, a chorus and a bridge (if needed) have very different objectives within a song. I also look for possible rhymes to reverse engineer some payoff lines but still working within a basic "sketching" mode. It takes discipline but when you're ready, you'll know it. Your "creative" sparks will be uncontainable. Then and only then, I approach the instrument. So let the writing begin…. Very soon I'm in the flow. With all the ideas jumping out of the prep page and fighting for attention, getting into it is now much easier. The ride is sort of an unconscious process where I get lost and do my thing in the infinite world of possibilities. Connecting ideas to music and searching for the natural rhythm and melody to the words I want to use. A magical ride where I lose all sense of time and self awareness while managing to stay true to my goals. I'm sure you can relate. One last thing. Because to me music feels naturally flexible, and words (because of their syllables) feel more rigid, defining a melody before knowing what to say lyrically leaves you with "rigid against rigid". How many times have you had a melody that suggests a four syllable word, knowing that the perfect word to use has only two? That's when songwriting becomes this difficult musical crossword puzzle exercise that forces you to compromise. I don't like it! Waiting to write the melody until you know what to say and how to say it allows the music to embrace the words like warm liquid chocolate over fresh strawberries and this alternative "creative" process I've described here allows it to happen naturally. Yes, it may take a little longer but I guarantee you that in the end, the quality of your songs will improve dramatically. So, now I can say "good luck" or "good work". It's up to you. 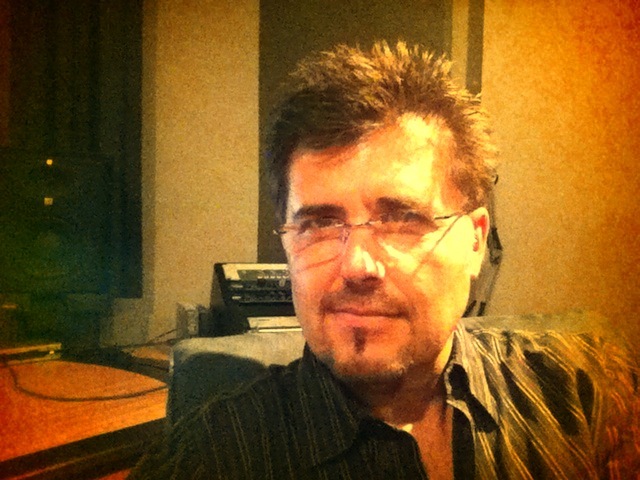 Originally form Chile, Cris Zalles has lived in the US for 30 years, and over 20 of them working in the Music Industry. He has earned professional credits as a Songwriter, Producer, Artist, Vocalist, Arranger and Sound Engineer. A Warner/Chappell Music Publishing staff writer since 1996, Cris has over 80 songs released around the world, mostly in the latin Industry. They include artists such as: Ricky Martin, Chayanne, David Bisbal, Luis Fonsi, Nito Mestre, Gilberto Santa Rosa, Christian Castro, Marcos Llunas, Florent Pagni, Disney, and many others. His song "Cuidarte EL Alma", by Chayanne won the ASCAP Pop/Latin ballad of the year award in 2005. The song became a Billboard #1 hit and the most played in Latin Radio that year. 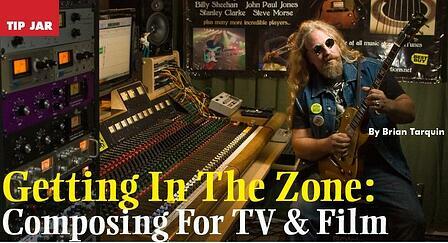 Cris currently runs his own recording studio out of Miami where he writes, produces and teaches songwriting. In the last few years he served 3 terms as Governor on the Florida Chapter Board of the Recording Academy and has been a voting member since 2001. http://www.zallesmusic.com.